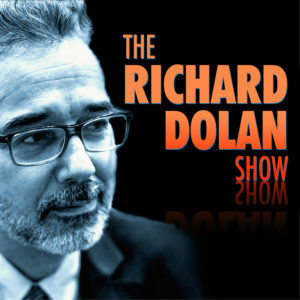 This week on the Richard Dolan Show, Richard discusses the phenomenon he dubs “Russia Derangement Syndrome,” in which much of the western world appears to have lost its mind and good sense over all things Putin. In fact, he points out that fear of Russia has a long history — over 500 years of European history, but has a very specific history of ups and (mostly) downs in the United States for the past 100 years. But it was the election campaign of 2016 that threw the latest panic against Russia into high gear. 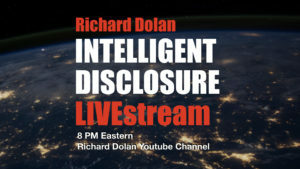 Next, Richard assesses the significance of Stanton Friedman, who at age 84 recently announced his forthcoming retirement from the field of UFO research. Friedman has been among the most influential UFO researchers in history, and certainly has a greater visible stature than any living ufologist. He was the researcher who did the greatest work in uncovering the Roswell case. He also defended the authenticity of the controversial MJ-12 documents, and discovered that UFO debunker Donald Menzel secretly worked for the NSA. All that and much more, as Richard provides his interpretation on the work and legacy of Stanton T. Frieman. The last half of the program is dedicated to the UFO subject. Why is it that, even in 2018, so many researchers who work the alternative field still run away from the UFO subject? 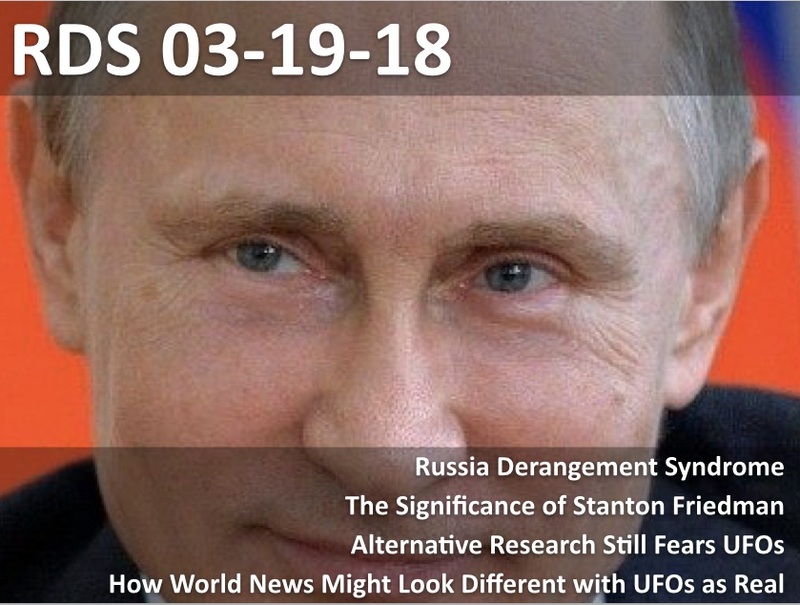 Such researchers can distrust their governments on anything else: the JFK assassination, Syria, the environment, any of the wars that have been started in the last 50 plus years, but they continue to believe official statements–the absurd not-even-trying statements–about UFOs. Finally, considering that UFOs are indeed a reality in our world, and that they are hardly covered by mainstream news media in the least, what might our news look and feel like if UFO sightings, encounters, and information in general were reported by the news media? It’s not quite the same as asking about “disclosure.” Rather, this is more of an initial speculation about what precisely would we be hearing.